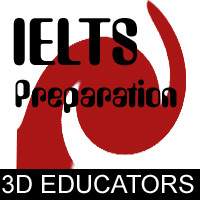 We 3D EDUCATORS is offering the IELTS exam preparation or IELTS Training in Karachi that is available for students and Professionals related to Academic and General Cadre IELTS Exam. We have state of art trainers, who are the Partners of British Council and will assess and guide you related to this specialized English examination. Because IELTS training is pertaining to English Language and required complete skills in this regard, because without having complete knowledge and skills of this Exam, the candidate cannot be able to get required BANDS. 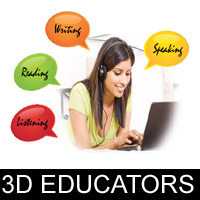 Therefore, 3D EDUCATORS offers best methodology and offer IELTS Best Expert Level training with our Accredited Trainers of BRITISH COUNCIL, which will helped to get appropriate grades/bands in IELTS (International English Language Testing System) . IELTS (International English Language Testing System) training in Karachi is used to test your ability to follow a course of study in an English speaking, Reading, Writing and Listening. It is recognized in all over the world Colleges and Universities, including UK, Australia, New Zealand and North America. IELTS tests is to recognize your ability to read, write, speak and listen in Academic or General contexts. IELTS Training in Karachi is conducted by senior and expert IELTS Trainers or instructors, who have trained many candidates. Our Core team will equipped you in all sort of required material and prepare you through different exercises, which is helpful to Get the Good bands in the IELTS Exams. IELTS Preparation and IELTS Training in Karachi or IELTS training in Pakistan course is focused on the skills and are needed for students/ professionals to reach their IELTS Bands according to the requirements and succeed in an academic and professional environment. The program is also for Professional, who are willing to go abroad on immigration or any other basis. FREE MOCK TEST FACILITY IN BRITISH COUNCIL SHALL ALSO BE PROVIDED BY US. Introduce students/professionals to and familiarize them with the format and content of IELTS. Equip students/professionals with effective and necessary skills and strategies that are needed to undertake the IELTS test with confidence. 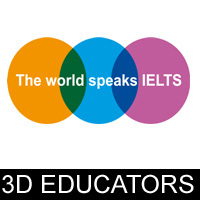 3D EDUCATORS has opened the admissions for students and professionals who are seeking for IELTS (International English Language Testing System) preparation and looking IELTS Experts or IELTS Great Trainer, who have the great track record of training and teaching and their candidates also pass in goof percentage. The trainer and faculty of IELTS have vast and extensive experience and can develop the candidate on any level to pass IETLS on great grades. Faisal Naseer is British Council Trained IELTS Teacher and member of IELTS Partnership Programme. He holds English Teaching Certifications of TESOL Methods and Professional Writing for Teachers from University of Maryland, Baltimore, USA. He has worked on the educational projects of U.S embassy as a teacher. Currently, He works as an executive council member of Pak-U.S Alumni Chapter (PUAN) Karachi. He has conducted many workshops for teachers in South Asia such as Nepal, Bangladesh and Pakistan. Get 7 to 8 Bands in IELTS through our Certified Instructors, who equipped for General and Academic Purpose. "The Pre-requisite of this program that the candidate should understand English and able read, write and speak English in well mannered way. " This program is not related to Job Market, this is for students/professionals who are willing to get the admission in overseas universities and for those professionals who are willing to migrate from here. So 3D EDUCATORS having the state of art and accredit trainers, who have extra ordinary skills and experience in this regard and trainers 100ths of Candidates. 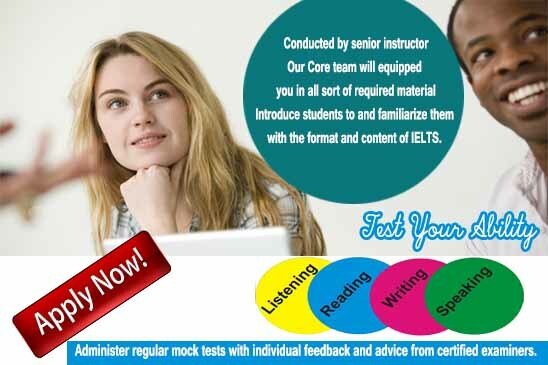 They equipped candidates to assure and get the required bands in the IELTS Examinations. We are providing Opportunities to make your career nationally and Internationally. 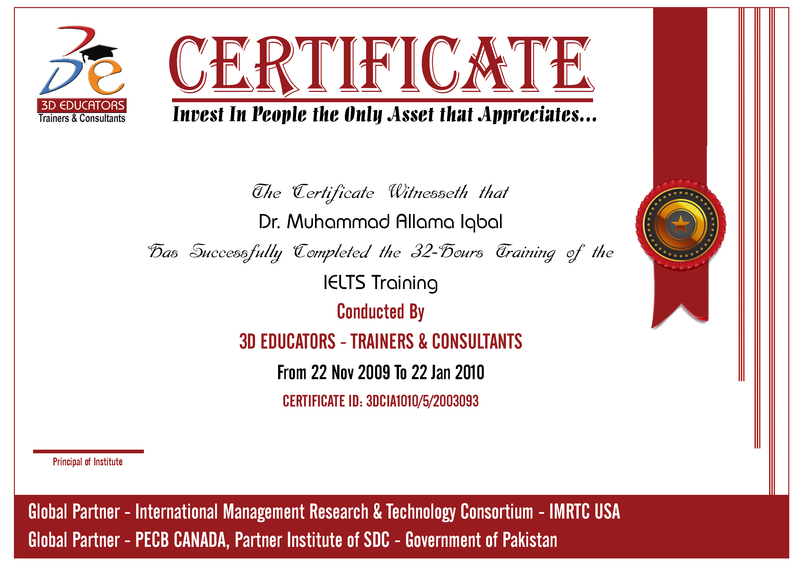 We at ”3D EDUCATORS” is adopted the methodology of training with the international criteria. In this training program you can have the complete knowledge and skills regarding the above mentioned programme. After this training, you are sound and capable to pass this examination of IELTs in required Bands. Therefore, you are endorsed from the accredited body after passing the examination, which will increase your worth in the professional & International Market. The training system if required the Computer Labs, then each candidate have the opportunity to learn the curriculum in easiest and calmest way and get the Certification from the accredited body. As mentioned above the Preparation are most important part now in the professional world. Especially who are willing to pass IELTS Examination. All professionals or students who are looking the opportunity abroad then they must need to pass the International Exam of IELTS in required bands. 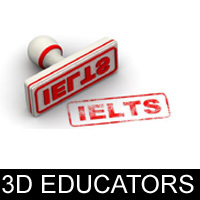 We 3D EDUCATORS assure you that we will equip you will all necessary material and our team will trained you to pass the IELTS Examination accordingly and successfully.